A short wave trough crosses the Balkan peninsula associated by a surface cold front across the Adriatic sea and W Balkan countries. 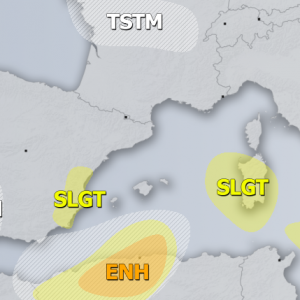 A weak upper low moves across the western parts of Iberian peninsula towards south. 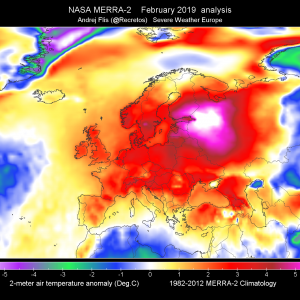 Large trough with very cold upper lever spreads from the Arctics towards N Scandinavia. A combination of two cyclones estables heavy precips period across the N-CNTRL Norway. 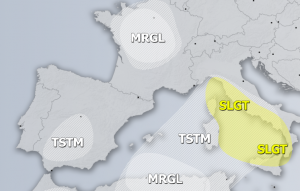 A SLGT/WNTR risks have been issued for parts of N-CNTRL Norway with threat for excessive rainfall exists, 50-100mm is locally possible. Excessive snowfall up to 75cm/24hr is possible in the higher elevations. 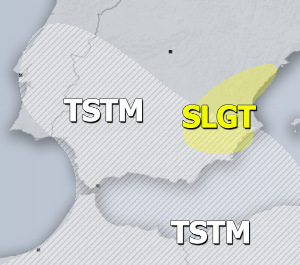 Strong to severe winds should result in snow drifts. 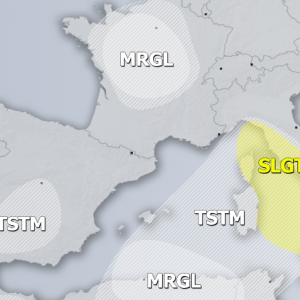 A SLGT risk has been issued for SE Adriatic sea with threat for severe winds and torrential rainfall. 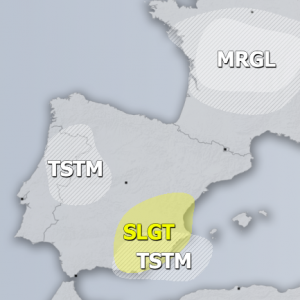 TSTM risk has been issued for NW Iberia where some isolated storms are possible.